I personally dislike shopping for groceries. I usually have much better uses for my time than combing the length and breadth of a supermarket and standing in endless lines. I think every spare moment in my home is precious and shouldn’t be spent standing in line waiting for someone to decide whether she really wants that candy bar or why she was charged an additional 5c for something that used to cost a bit less. 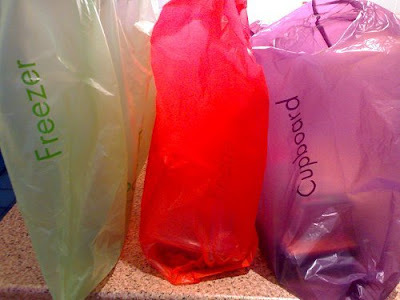 Unfortunately shopping for groceries is a basic and essential need and activity which can’t be overlooked or neglected. Although I truly try to avoid grocery shopping I do enjoy fresh fruit and vegetables, meats and cheese. I’ve been aware of the option of shopping for groceries online for some time now but I’ve also been worried about the quality of the products I’ll receive without choosing them myself. Obviously since I’m already shopping for those groceries there’s no point in paying higher prices online for boxed and stored goods and I buy those as well. Recently I’ve been more and more interested in online grocery shopping as I’ve had enough of these endless journeys. I’ve decided on trying an online order a couple of times with high hopes of ridding myself of this annoyance without having to settle for stale and day old products. Delivery days for my area are scheduled for Thursday, Friday and Monday and I’m very eager to give it a try. In the mean time, much like I always do, I sat down and tried to look at this experience from an economic and financial viewpoint. Online grocery prices are considered to be relatively higher and can amount to 15%-20% more than shopping at the supermarket itself. I came up with interesting results which just might justify paying higher prices for online grocery shopping. I think the number one advantage of shopping online is the ability to view the total cost of our purchase at any given moment. Think about how many times the total amount surprised you. “I just bought eggs, milk and a couple of more things… How did I get to $100! ?” Sounds familiar? With a total amount available at any given time you can really examine what you’re about to buy and maybe decide on settling for a cheaper brand this time. 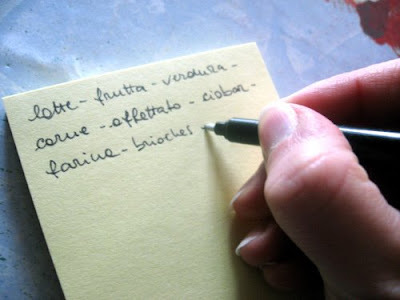 Another distinct advantage is the ability to really stick to your original shopping list. You avoid the instant craving and sudden impulse and just pick what’s on your list. In future purchases you’ve got your list all ready and you only need to make minor adjustments. What are the chances you’ll deviate from it and spend wildly on an attractive bottle of wine that just smiled to you from one of the isles? How many times have you asked yourself “did we run out of this and that?” and couldn’t remember. All you have to do is get up and take a peek at your refrigerator or pantry and find out. Avoiding unnecessary shopping might save significant amounts of money in the long term. Much has been written on the cheap yet effective tricks supermarkets employ on us susceptive shoppers. I’ve written a post on cheap marketing tricks supermarkets employ and how to avoid overspending by being aware myself. When you’re shopping from home you’re in a controlled environment unsusceptible to those tricks. I believe that save money. If those tricks hadn’t worked on us supermarkets wouldn’t employ them. No longer having to duck all the way down to the bottom shelf you can easily compare prices for similar products and save a bundle on good cheaper products. In each session you can choose another niche to dig in to and buy cheaper products of the same quality thus lowering you grocery expenses on fixed basis. Looking at the bottom line you suddenly decide to get rid of a certain product. Maybe you forgot something and you’re already in line. It’s very easy to add and more importantly remove products from your shopping cart when shopping on line. By the third or fourth time I guess everyone has their own list of groceries to buy on a weekly basis. Log in, load the list, make minor adjustments and get exactly what you need. I’m guessing 30 minutes ought to be enough for the complete process. Buy from work and have everything arrive 10 minutes after you get home, or maybe late at night if you’re insomniac. I believe this might also limit you a bit as you have to wait for the delivery sometimes but wouldn’t you have spent that time in the supermarket in the first place? With gas prices so high each 15 trip to the store is a waste of money. Shopping online helps us save on gas and car related expenses easily. I’ll report back with my couple of first experiences and tell you how it’s been. I’m most worried about product quality and packaging. I do believe 15% higher prices just might be economically and financially sound as the advantages seem to outweigh the disadvantages significantly.